CMA action on booking sites will provide ‘greater transparency for customers’: Enforcement action by the Competition and Markets Authority (CMA) against hotel booking sites will provide “greater transparency for customers”, UKHospitality has said. Expedia, Booking.com, Agoda, Hotels.com, ebookers and Trivago have agreed to make it clearer how hotels are ranked, not give a false impression of the availability or popularity of a hotel or rush customers into making a booking decision based on incomplete information, be clearer about discounts, and display all compulsory charges. UKHospitality chief executive Kate Nicholls said: “Customers booking online have been unwittingly misinformed for too long and they deserve better. The CMA’s recommendations will simultaneously add a level of protection for accommodation businesses, which have too often lost out via unfair practices. It is a welcome step to increase transparency in the realm of online platforms at a UK level. We now need action to address unfair parity clauses to ensure there is fairness and transparency for customers and businesses.” CMA chairman Andrew Tyrie said: “Six websites have already given firm undertakings not to engage in these practices. They are some of the largest hotel booking sites. The CMA will now do whatever it can to ensure the rest of the sector meets the same standards.” The CMA will seek to ensure compliance with the commitments is complete by 1 September. UK restaurant and pub brands ‘risk energy fines’: Restaurants and pubs in the UK could be “at risk of large fines” if they don’t act on the government’s Energy Saving Opportunity Scheme (ESOS), Hospitality Energy Saving director Richard Felgate has warned. The mandatory scheme affects companies with more than 250 staff. Fines for not complying can reach £90,000, Felgate said. He added: “I believe many businesses are missing the point of ESOS and viewing it as a cost rather than a route to delivering savings and additional profit. After the cost of food, drink and labour, energy is normally the next biggest cost for restaurant businesses.” Felgate is former head of energy at Mitchells & Butlers. Jon Smith Subs opens debut UK site, in Hammersmith: US-based grill sub sandwich concept Jon Smith Subs has opened its debut UK site, in Hammersmith, west London. United Franchise Group, which partnered with Jon Smith Subs in 2017 for the UK roll-out, has opened the outlet in King Street at a site formerly occupied by Chicken Cottage. The menu includes the grilled steak and chicken subs that are its staple in the US, where it has 35 sites. Franchise owner Omar Al-Magribi said: “After much searching for the perfect location for the first UK store, we finally decided on Hammersmith. We think it’s the idea spot to launch the Jon Smith Subs UK flagship store as it is a busy and vibrant area in the heart of London. We’re confident Jon Smith Subs will be a huge hit in the UK and can’t wait to show the people of Hammersmith what an authentic American sub really tastes like!” When the partnership with United Franchise Group was announced, Jon Smith Subs said it was targeting up to 45 sites in the UK. The first site was earmarked for Kingston but never materialised. Caravan chief to mentor My Million Pound Menu winner: Caravan chief executive Laura Harper-Hinton is to mentor this week’s winner of My Million Pound Menu. Devi’s, the brainchild of Tanya Gohil, triumphed over fellow sustainable food brands Skaus and Sustainable Food Story in this week’s episode of the BBC series. Devi’s operates at Bermondsey food market offering Silk Road-inspired vegan and vegetarian food that combines east Mediterranean, North African, Middle Eastern and Indian cuisine. Gohil also operates Hackney supper clubs under the Devi’s name, while she employs a mainly female team and invests in projects that target gender equality, the refugee crisis and women’s rights. Caravan, which operates five London sites, launched a partnership last week to run coffee counters at a number of sites operated by co-working company The Office Group. SSP brings healthy eating concept Dean & David to Düsseldorf: SSP Group, the UK-based transport hub foodservice specialist, has opened a site for fresh food brand Dean & David at Düsseldorf Central Station. The 100 square metre site seats 40 diners, while the brand offers “healthy and nutritious meals that can be tailored to customers’ individual preferences”. The daily changing menu includes made-to-order salads, Asian curries, soup, hand-twisted wraps and grilled sandwiches to eat in or take away. It also offers good-life bowls – warm dishes that contain quinoa, superfoods and fresh vegetables. Jan Kamp, director business development and properties at SSP Germany, said: “With more travellers looking for healthy, nutritious food options, Dean & David is the perfect addition to our offer.” Dean & David founder and chief executive David Baumgartner added: “Our menu offers great options, with numerous vegetarian, vegan, gluten-free and lactose-free dishes.” SSP’s portfolio of brands at the station include Pizza Hut and Sushi Factory, while the company operates a Dean & David unit at Vienna airport, with plans to expand the partnership. YO! Sushi to close Oxford site: YO! Sushi is to close its site in Oxford’s George Street, bowing out on Valentine’s Day (14 February). 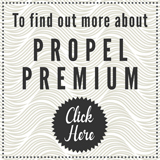 A spokeswoman for the company told Propel the branch would close because of “natural churn”. She said: “As is normal with a large and established brand, we continually review our estate to make sure we have the best proposition in the right site.” The venue opened more than ten years ago. In October, YO! Sushi closed its restaurant in Bath city centre for the same reason. In the past year, YO! Sushi has significantly changed its business model. The acquisitions of Bento, one of the largest sushi brands in North America, and Taiko Foods, a manufacturing group and supplier to Waitrose, has created a “global multi-channel, multi-format Japanese food platform”. YO! Sushi has also been trialling counters in two Tesco stores under the brand name YO! To Go. Bao’s third London site to feature karaoke room and grab-and-go hatch: London-based Taiwanese restaurant Bao has revealed its third venue, which will open in Borough Market in the spring, will differ from its sister sites in Soho and Fitzrovia by featuring a karaoke room and grab-and-go hatch. The karaoke room will be downstairs from the new restaurant and offer party platters for up to 12 guests while they belt out the classics. The venue will also add grilled dishes to Bao’s offering of Chinese snacks, steamed buns and sharing plates, while it will also launch a late-night noodle menu, Hot Dinners reports. Flamingo Land unveils plans for second theme park, in Scarborough: Yorkshire theme park Flamingo Land has revealed plans to open a second site. The company wants to build an attraction on Scarborough seafront that would include a roller coaster with a 60-metre tower. Flamingo Land Coast would be built on the site of Futurist Theatre in Foreshore Road. Plans show a four-storey building hosting attractions, education facilities, restaurants and children’s play areas, while a second building would house a “winter garden” and viewing area. Chief executive Gordon Gibb told the Hull Daily Mail: “Flamingo Land is committed to creating an exciting family attraction in Scarborough.” Flamingo Land theme park, holiday village and zoo is based in Malton, North Yorkshire. It turns over almost £30m a year and employs 400 staff. Broadwick to launch 3,000-capacity venue and events space at Westfield London: Broadwick Venues, which operates Printworks London and is a subsidiary of festival specialist Broadwick Live, is to launch a 300-capacity events space at Westfield London. Work will start this month to bring the grade-II listed Dimco building into public use for the first time. The project is a partnership between Broadwick and shopping centre owner Unibail-Rodamco-Westfield. The venue – Exhibition – is due to launch at the end of the year at the former electricity generating station, which featured as the Acme factory in 1988 film Who Framed Roger Rabbit? Spanning two floors, the 34,000 square foot venue will offer multiple rooms, relaxation areas and food and drink traders. It will sit at the heart of Westfield London’s £600m expansion. Broadwick managing director Bradley Thompson said: “Exhibition represents an important moment in the evolution of Westfield London, creating a unique entertainment hub and enhancing the area’s cultural kudos. It will attract and serve not only the local community but the ever-increasing number of people who view White City as one of the most exciting growth places in the capital. The location is perfect and the building itself is incredible. We are committed to respecting its past and investing in its future, offering contemporary experiences against a stunning Victorian backdrop.” London night tsar Amy Lamé said: “The great range of entertainment venues in the capital play a vital role in its vibrant nightlife so I’m delighted to see this historic location turned into a venue for arts, music and cultural events.” Broadwick Venues said it was looking to launch a number of events spaces in the UK. Ziser London to turn Fulham town hall into hotel, restaurant and events space following £10m acquisition: Real estate company Ziser London has acquired Fulham town hall and will transform it into a hotel, spa, restaurants and events space. Debt advisor and asset manager BBS Capital arranged a £10m loan with OakNorth to fund the acquisition of the grade II-listed, 51,350 square foot building from a private vendor. A development finance facility will be arranged in due course. Many of the town hall’s period features such as its Portland stone façade and stained-glass windows will be preserved. OakNorth debt finance director Priya Harley said: “Ziser London has an extensive track record in investing and developing London-based residential and commercial properties, in particular ones with architectural significance. Once complete, this site will be a landmark property in London.” In 2018, Mayfair-based BBS Capital helped its clients finance £1.37bn of property deals across multiple sectors. Enhanced Hospitality takes ownership of Camden Town music venue: Enhanced Hospitality has taken over ownership of Camden Town music venue Dingwalls. The company, which runs Fest Camden at Camden Market and the Shaka Zulu restaurant, aims to re-establish a venue that has hosted bands such as The Clash and The Strokes. The building will remain open during renovations, which are expected to finish in the summer. The refurbishment will see a refreshed live room, new roof terrace, and a green room for artists. Electronic music shows and club nights will sit alongside live performances as part of a daily schedule. The venue will also offer craft ale and a “proper pub grub” menu.